Graceful and prehistoric are two words seldom used together, yet somehow, married with the word rhino, they create a yearning to protect the last remnants of the dinosaur age. Seeing a rhino in the wild has the ability to make time stand still. Recently, through the work of Sir David Attenborough, it has been discovered that solitary black rhino congregate after dark to bond in large social groups, sharing kisses and cuddles and games. 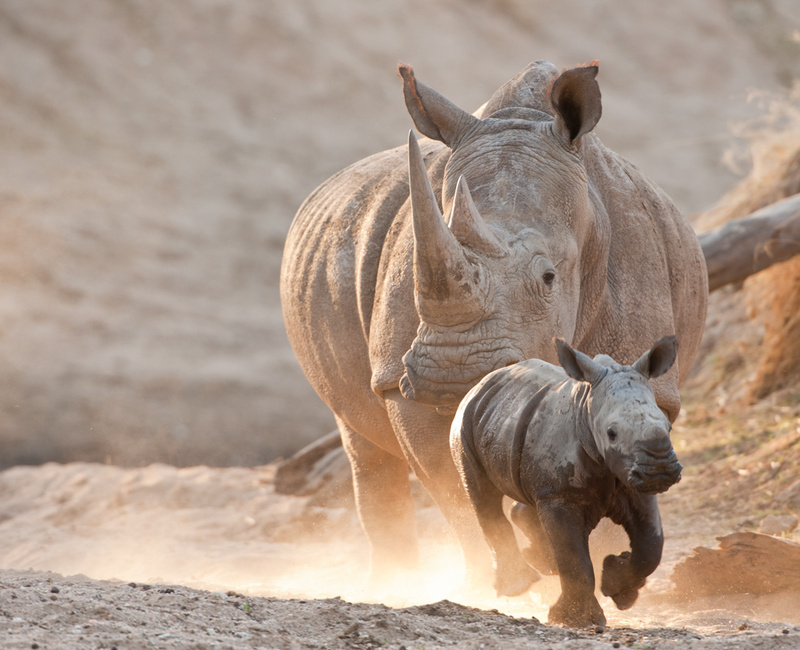 Black rhino, the most endangered in southern africa, are different to their white counterparts. 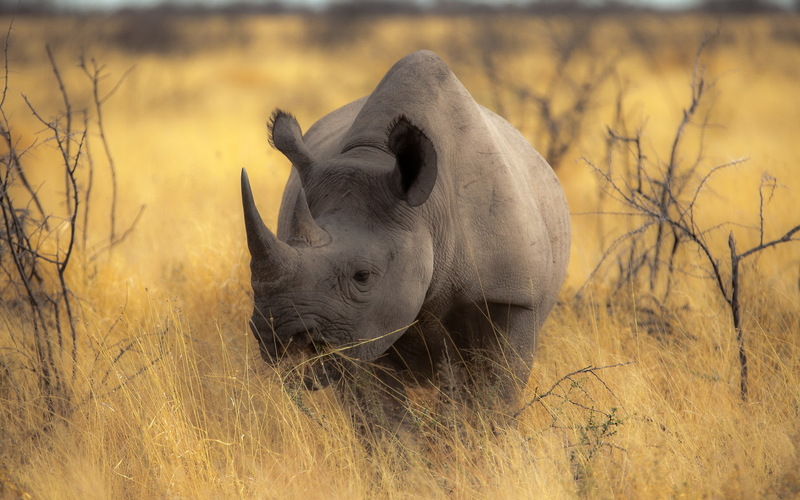 Smaller by over a tonne, black rhino have a triangular upper lip to enable them to browse off scrubs and trees, rather than graze as white rhino do. White rhino have a square lip for cutting grass, and a downward facing head. The most striking difference between black and white rhino is remarkably human like. 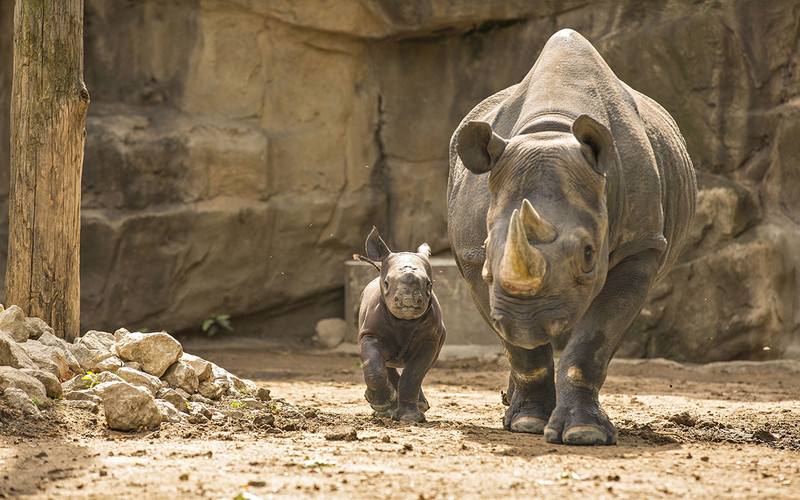 A black rhino, as with traditional Africans, carries her baby behind her. 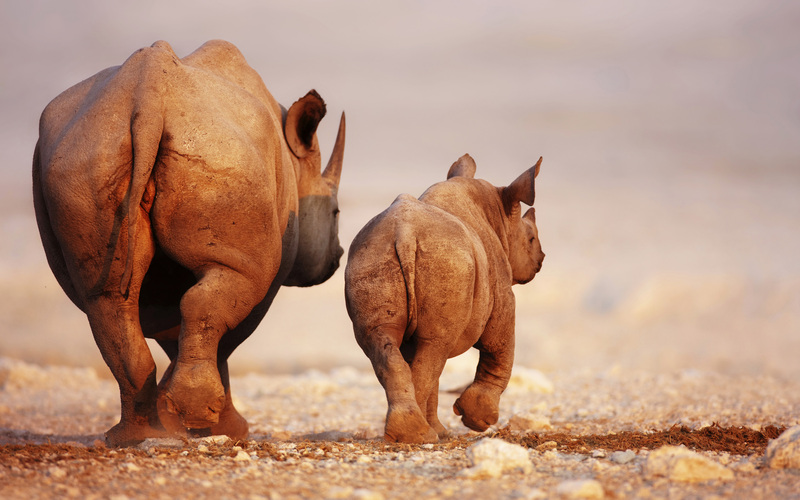 White rhino, as with Europeans, walk with their young in front. 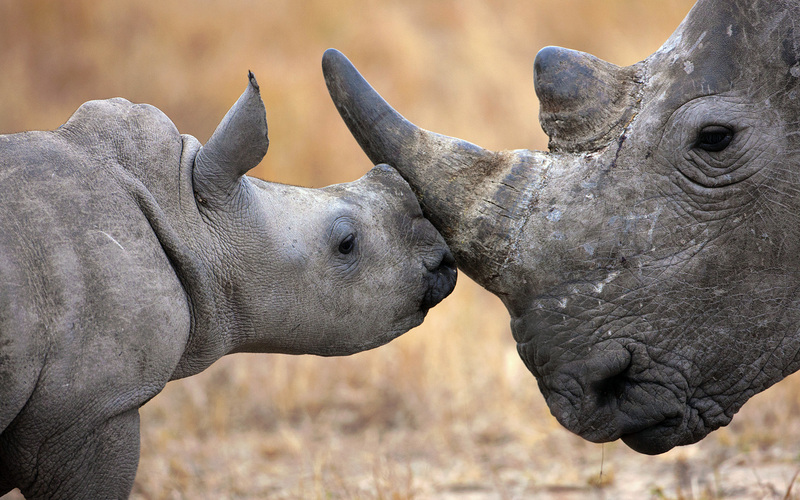 There is no known medical use for black or white rhino horn. Despite being senselessly poached to the brink of extinction, these large and seemingly cumbersome creatures have a sense of occasion about them. They’re show stoppers who have won the affections of wildlife lovers across the world. Looking after them is a global effort, without which they would fade away and be gone forever.